The health of your dog is determined by many of the same factors that determine human health: good nutrition, great relationships, and exercise. Dogs are obviously much less complicated than humans, but keeping them healthy can still be challenging. 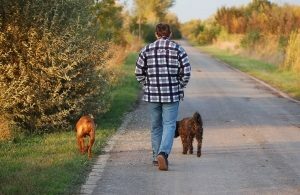 Daily walks and exercise are crucial for most dogs’ health. 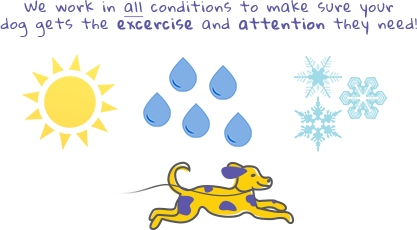 Hustlin’ Hounds can help you establish a daily exercise and walking regimen for your dog that he will enjoy and get used to. Dogs often crave a routine to keep their days and time together. A daily walk should be a part of that routine and Hustlin Hounds can help you get your routine together.